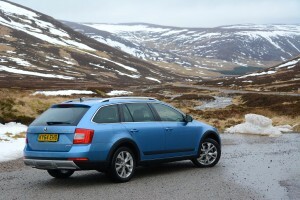 The Skoda Octavia Scout offers more off-road ability than the average estate car, and better economy and handling than a large SUV – so, with a competitive price tag, is it the ideal all-round car? Everyone wants an SUV or crossover these days, but large SUVs are generally heavy and have poor aerodynamics, so having a negative impact on economy, and with a high centre of gravity, handling is also adversely affected. So surely the perfect solution is an estate with raised ride height and all-wheel drive? 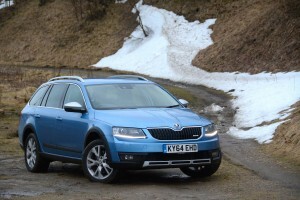 Skoda’s offering is the Octavia Scout, in this form with a 184 PS engine – which is a more enticing proposition than the lower-powered engine option. Under the Skoda body, everything is familiar Volkswagen Group hardware. In this case there’s the 184 PS engine, 6-speed DSG transmission, four-wheel drive and a raised ride height. 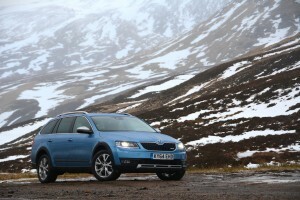 There’s a healthy 380 Nm torque, and only a slight weight penalty for the 4×4 system: 1484kg compared to 1427kg for the two-wheel drive Octavia estate. Skodas have often had styling that makes them look like the poor relation in the Volkswagen Group, but we think this Octavia looks good – it’s modern and sharp rather than having any awkward, down market design details. It’s a similar story inside – Skodas have usually had very basic interiors in the past, but you could easily live with the dashboard of this latest Octavia. However there’s one feature of the interior that isn’t ideal – the lack of any ability to enter postcodes on the satnav. One of the key selling points of the Octavia Estate is the space it offers, particularly in the boot, which can easily swallow lots of luggage. The Skoda Octavia Scout is an estate, not a big and bulky SUV. Even though it has a raised ride height, because the centre of gravity is still reasonably low, the Scout still drives like an estate rather than a tall 4×4, so you don’t have to start praying that you’ll make it round each corner. So its handling is perfectly acceptable, and it has good ride quality. 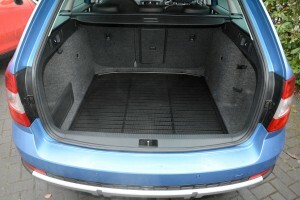 The four-wheel drive system means it can venture some distance off-road, but it also means that it has better traction on-road in all weather – there’s none of the unpleasant front-wheel drive wheelspin and torque steer (although the car does operate in front-wheel drive most of the time). The ability to summon assistance from the rear wheels is all the more important with the 184PS engine, which has good levels of torque (380 Nm). This is great for relaxed motorway driving, when the Scout is also refined, quiet and comfortable – so it’s an excellent long distance cruiser. The DSG transmission is good overall, although there is a tendency for the revs to be too low in D, and too high in S. This characteristic is not unique to this car – this seems to be a trend with a range of manufacturers at the moment. We’d prefer to have just one setting that gets the revs right at all times. It was also best to change gear manually on twisty mountain roads to ensure the right gear was selected at all times. We could only find one main issue that spoilt what was otherwise an impressive driving experience: when driving on long, straight roads, the steering feel often went light then heavier again just either side of the straight ahead; a strange sensation. There’s one other thing. It’s our view that any car that has four-wheel drive and a raised ride height should have tyres that can deliver the extra ability promised by the off-road pretensions. 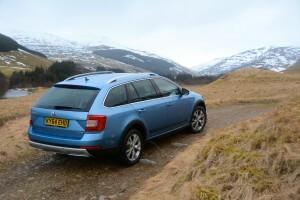 However this Octavia Scout didn’t come with any form of all-season or mud and snow tyres. 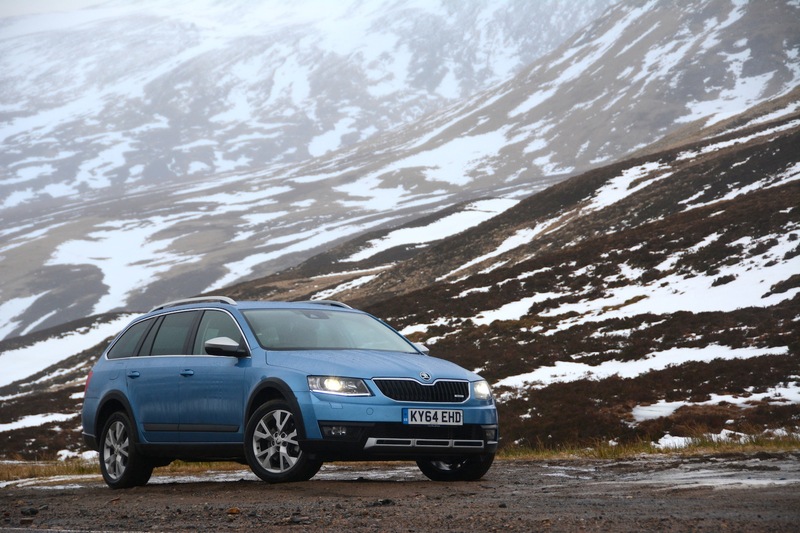 The Octavia Scout has an official economy figure of 55.4mpg, equating to emissions of 134g/km CO2. 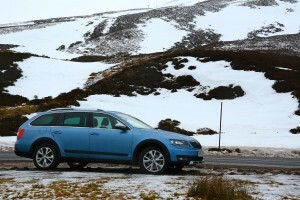 During a week that involved driving from Cheshire to the snowy mountains of Scotland and back, the Octavia averaged 44.5mpg. The worst we saw was 40.5mpg; the best we experienced was 53.6mpg. 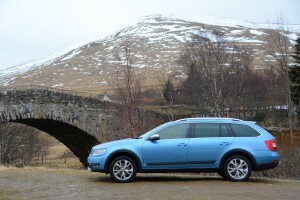 This isn’t a bad result for a large high-riding estate with 4×4 capability. You can also expect to enjoy a real-life driving range of over 500 miles on one tank of diesel. 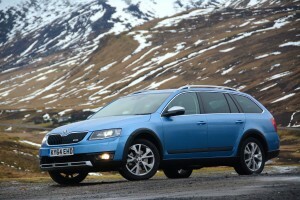 The Skoda Octavia Estate Scout, in 2.0 TDI 184 PS 4×4 DSG form, costs £27,990. 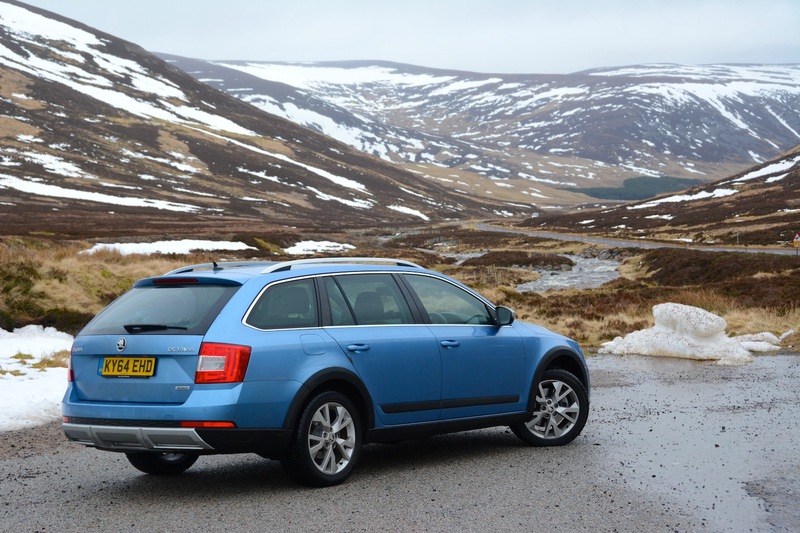 Standard equipment levels are good, but our test car had options including uprated lights, metallic paint (we would recommend this metallic blue colour as it never showed the dirt) and winter pack; bringing the total price to £30,430. 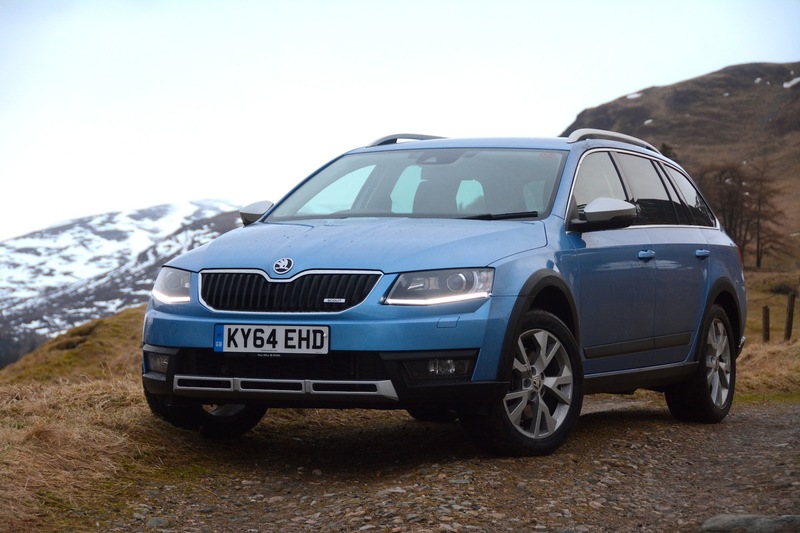 This is a car that overall is very competent, so although this may sound relatively expensive, compared to rivals it actually offers reasonable value – as you would hope from the Skoda brand. There are two Scout models – with 150ps or 184ps turbodiesel engines. There isn’t much difference in economy or emissions: 129g/km v 134g/km CO2. Our week with the Octavia Scout was a perfect test for the car. 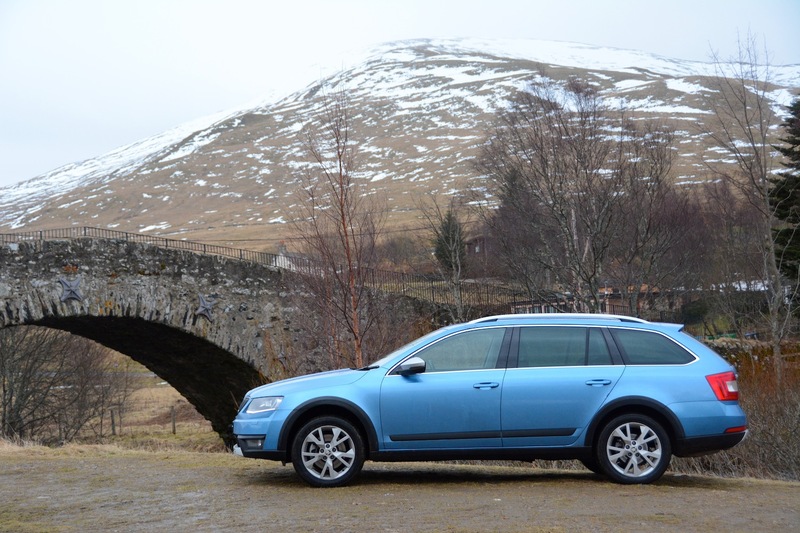 A drive from Cheshire to the snowy mountains of Scotland (where there were many Octavia Scouts) showed that the car was comfortable, refined, spacious, powerful and economical. Very limited and mild driving off-road and on snow presented no problems, despite the lack of all-season tyres – but we still say that manufacturers of such vehicles should fit tyres that perform better in such conditions as standard. An estate with four-wheel drive and a raised ride height offers a more efficient option than a big bulky SUV, which will be less efficient, and won’t handle as well. 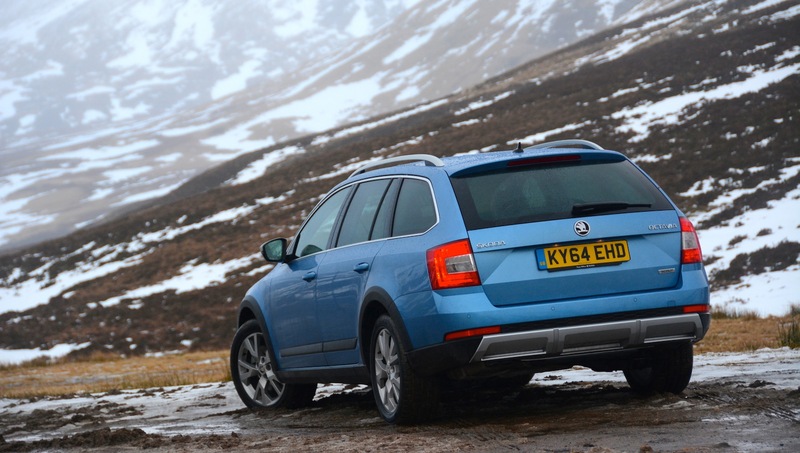 But with four-wheel drive capability, you still benefit from better traction on normal roads in all weathers. 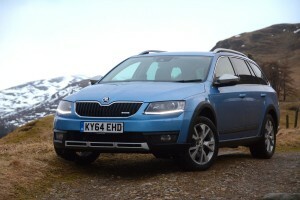 We normally review the lowest emission Skodas, however here at Green Car Guide we look for cars that have the best balance between performance and efficiency, and so if we were to buy an Octavia Scout we would definitely go for the 184ps version, as it’s better to drive, there’s very little penalty in fuel economy or emissions, and we would imagine that the real-life difference in fuel economy on long runs is even more marginal than it is on paper. Aside from the slightly strange steering feel varying between light and heavy on long straight roads, this is the one of the best Skodas that we’ve driven. 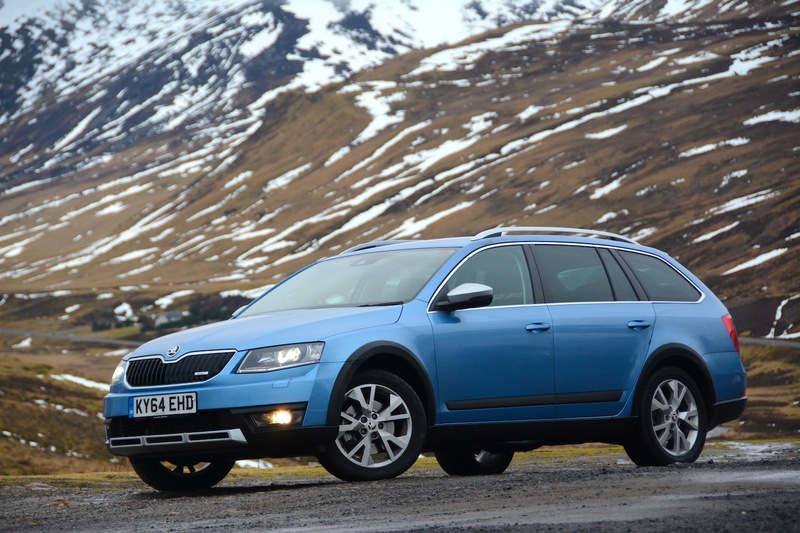 The Octavia Scout scores a Green-Car-Guide rating of 8 out of 10.